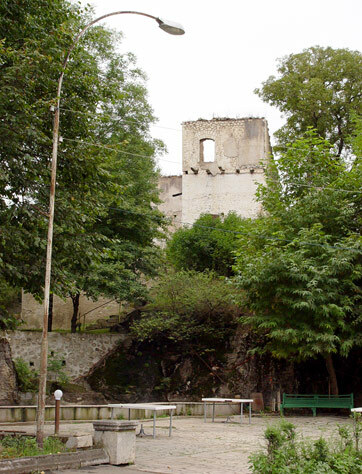 Project Description: In an effort to jumpstart socio-economic development in the legendary town of Shushi, Armenia Fund USA and its worldwide affiliates launched a comprehensive program of infrastructure and business development projects. The Armenian-Azerbaijani war left Shushi almost completely destroyed. The town center is a gloomy picture of half-destroyed houses built in the 18th and 19th centuries. With so many abandoned shelters, many of the mostly jobless residents live as squatters, with no heat, electricity and functioning appliances. Provincial schools are also physically unsafe and unhygienic, leaving families little incentive to remain in Shushi without hope for a better future. Today, the officials of the Shushi and Karabakh government, along with leaders of Armenia Fund, have agreed to put Shushi on the economic map. Shushi’s war on poverty is being fought on multiple fronts: housing, health care, education, business and cultural development, not to mention well-functioning institutions that can facilitate growth and progress. 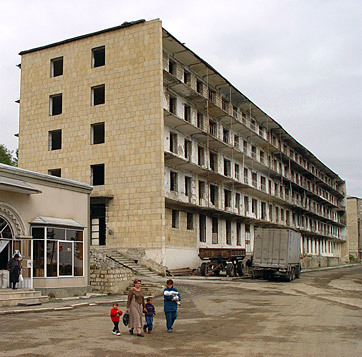 Armenia Fund is undertaking many large and small infrastructure projects slated to begin in 2010, such as the construction and renovation of local town halls, parks and schools and a brand new medical hospital that will provide village-wide access to emergency and critical health care. Other business development efforts include a Rug Manufacturers Association and micro-loans for start-up local enterprises.